Elle and I spent three days at Watergate Bay Hotel on the north coast of Cornwall. We enjoyed their Taste of the Bay package which allowed us to dine at Zacry’s restaurant, The Beach Hut and Jamie Oliver’s Fifteen Cornwall. We also had an incredible surf lesson, yoga session, spa treatments and plenty of time to enjoy that pool. And oh, what a pool it is! 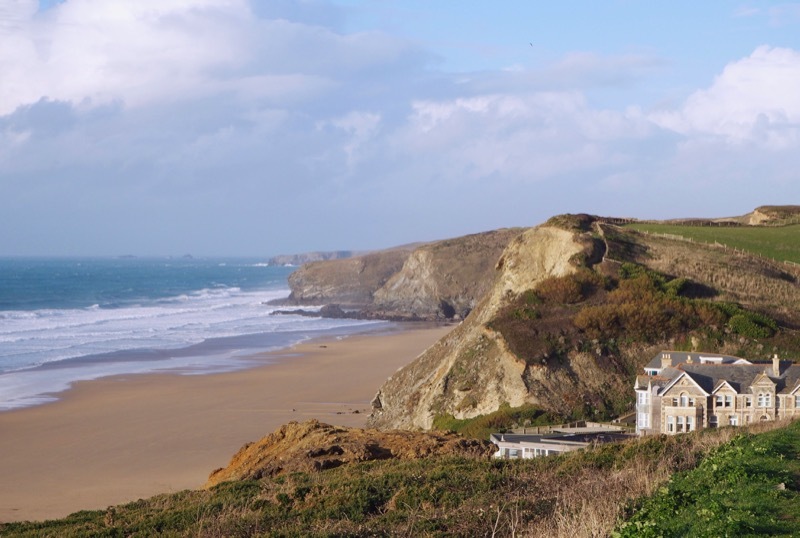 Here’s how we got on and our review of Watergate Bay Hotel. Words by Elle, photos and video by Monica. Have you ever wished you could bottle a feeling? If you could, what would you choose to preserve? Would it be that feeling you get on a Friday evening when the weekend is stretching out ahead of you? Or maybe the blissful sensation of sitting by a pool in the baking heat with nothing to worry about other than which cocktail to order? For me, it would be the feeling of coming inside to the warm after being active in the fresh air, in the midst of nature. I don’t know what it is that I love so much about it: the tingling of my skin, the heat that rushes into my cheeks, or that incredible energy that comes after being active, and being surrounded by beauty. But whatever it is, although I can’t bottle it, I’ve found something even better: a destination that embodies everything about the feeling that I love so much. The place? Watergate Bay Hotel. Nestled in an opening between dramatic cliffs, which leads onto the wide, sweeping beach of Watergate Bay on the north coast of Cornwall, the hotel began its life in 1900 as a railway hotel – only the railway line was never actually constructed. 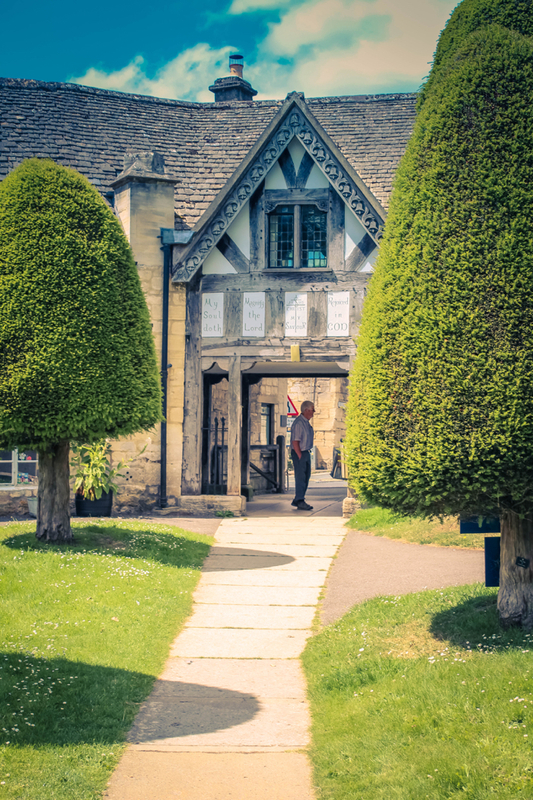 It wasn’t until the 70s that it became what it was designed to be – a hotel – and since then, the original stone building has been extended and refurbished, with new wings and facilities added over time to create the hotel that exists today. And what a hotel it is! 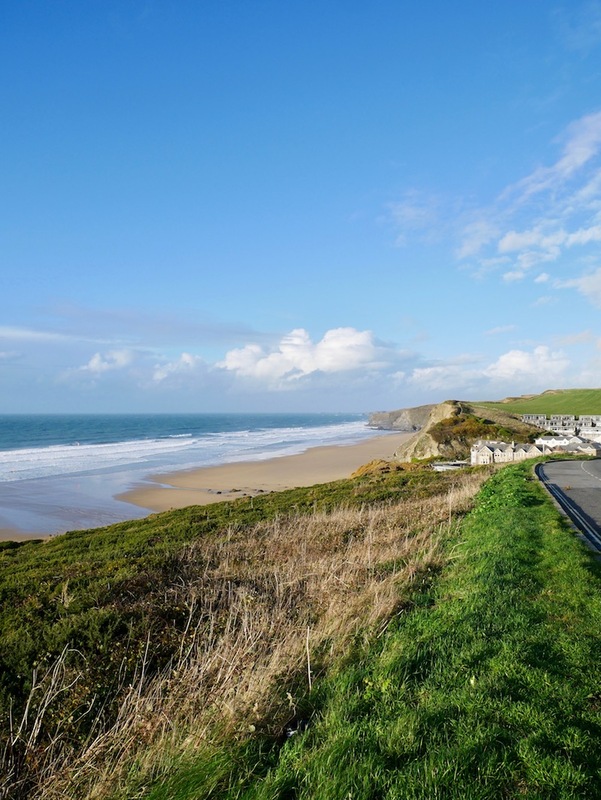 Before you even set foot inside, Watergate Bay Hotel blows you away: as you round a bend, the coastal road opens onto a breathtaking ocean panorama, the hotel perched just within view, as though it’s clinging to the side of the cliffs, a hodgepodge of glass and stone and steel. It’s best not to judge this particular book by its cover, though; if it seems a little scattered, the experience once you arrive is effortlessly slick. Stepping inside Watergate Bay Hotel is like collapsing onto a comfortable sofa after a stressful day at work: you instantly feel at home. The stylish touches – subtle beachy stripes in the hotel’s signature mustard yellow, a stunning fireplace surrounded by plush armchairs, and the attention to detail – a daily weather and surf report as you walk in, a place to stash your wet and sandy wellies – are all reminders that it’s a luxury property, but it’s so unpretentious that you’d be forgiven for believing you’d just arrived home. No one bats an eyelid if you traipse through the designer lobby with sandy bare feet, or if you stroll down to the spa in your robe and slippers, or if your dog barks, or your child shrieks with excitement at the Kids’ Zone. It’s the kind of place where you can be yourself, where you can completely relax. And luckily, just like home, you don’t have to venture very far at all to find all of the creature comforts – and some additional luxuries I definitely don’t get at home! With three on-site restaurants to choose from, the tranquil Swim Club with its spa, gym, sauna, hot tub and pool, The Living Space designed for hanging out, incredible rooms and a stunning beach just steps away, a night or two simply isn’t enough to experience it all. After a long day of travel – the hotel is admittedly far from most major cities, although there is an airport just 2 miles away with flights from Gatwick taking just 45 minutes – it was time to retire to our rooms for the night. As you might expect, with a location boasting sweeping sea views, the star of the rooms really is what you can see from the window, but ocean vistas aside, the thoughtful touches (like real milk for the high quality tea, underfloor heating in the bathroom, luxurious toiletries and one of the most comfortable beds ever) show that it’s a luxury hotel in its own right, not simply because of its enviable location. And if falling asleep to the sound of waves crashing into the shore is one of the most incredible feelings in the world, then waking up to the same sound, accompanied by the sight, is truly a special treat. 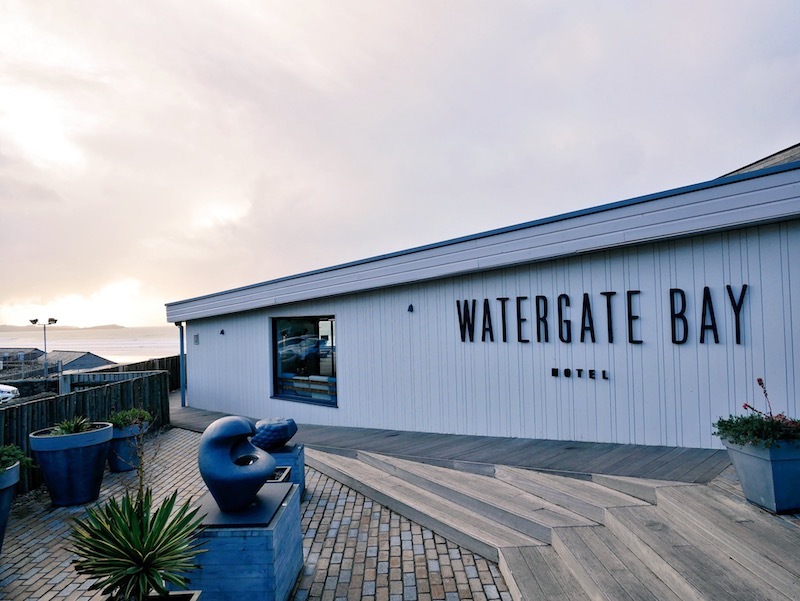 Food is such an important element of any stay at Watergate Bay Hotel that they’ve even created a food-focused package, called Taste of the Bay. The three-night getaway includes breakfast each morning and dinner at three different restaurants: Zacry’s, The Beach Hut, and Jamie Oliver’s Fifteen Cornwall. We began our stay with dinner at Zacry’s, a modern British restaurant serving contemporary dishes featuring local ingredients. It’s buzzy and elegant, with a seasonal two and three course menu to choose from every evening. Our package included the three course meal, during which we tried pork belly, crispy squid, locally-caught fish and a curious sweet corn side that, if you ate it with your eyes closed, you’d absolutely mistake for ribs. Delicious. The following day, we ate both lunch and dinner at The Beach Hut, a casual beach hangout that’s just steps away from the golden sands of Watergate Bay. The food is as laid-back as the venue, with comfort food like fish and chips and burgers side-by-side with steaks, fish wrapped in banana leaves and local mussels drowned in cream and white wine. They also serve the most indulgent Extreme Hot Chocolate, which makes the perfect post-surfing treat! Our final meal was lunch at Jamie Oliver’s Fifteen Cornwall which, although not part of the hotel as such, is located on-site, and partners closely with Watergate Bay. As well as enjoying a fabulous meal with an incredible view, when you eat at Fifteen Cornwall, you’re supporting a brilliant cause, too. All profits from the restaurant go to the Cornwall Food Foundation, which manages the award-winning apprentice programme, which supports the careers of young chefs. Our highlight of the meal was the delicious stuffed sardines starter, and the hot buttered beer, which basically tasted exactly how I imagine Hogsmeade’s butterbeer to taste! With all these outstanding lunches and dinners, it would be easy to forget about breakfast…except that breakfast at Watergate Bay is, quite simply, unforgettable. Served in Zacry’s, the morning spread is legendary (literally – so many people mentioned it before I even arrived!) thanks to the DIY waffle station. Golden and crispy, and served with syrup or Nutella, the waffles are hot and fresh every time, and they’re definitely the star of the show. Plus, for a day of exhilarating activity, they’re essential fuel (paired, of course, with bacon and eggs and fruit and pastries from the buffet). 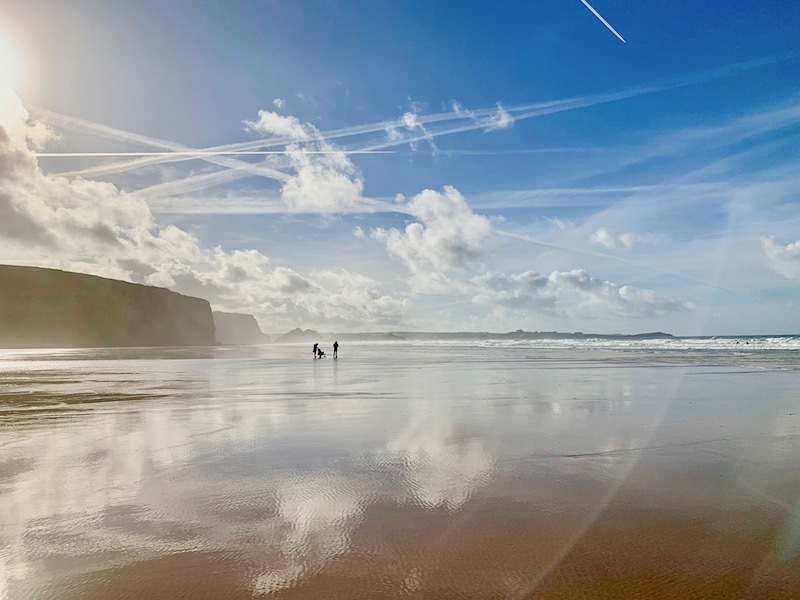 Speaking of getting active, here’s the part where Watergate Bay levels up from simply being an excellent hotel to being a world-class destination for a holiday that really does have a bit of everything (OK, fine, it doesn’t have museums or art galleries, but aside from that…!). Swim Club – a spa, gym and pool all rolled into one location – offers daily classes like spin, pilates and yoga. We started our first morning with a yoga session, which was the perfect way to forget about the stresses of home and begin to truly unwind. The real adventure, however, is to be found on the beach, at Extreme Academy, the surf school on the hotel property. The team at Extreme Academy are experienced in all kinds of water sports, including windsurfing, surfing, bodyboarding and stand up paddleboarding, and they’ll make even the most nervous beginner feel comfortable. We were two such nervous beginners – we showed up giggling and making jokes about hypothermia, and when we were told the weather conditions were a bit rough, our bold ‘oh, we’ll be fine’ declarations were pure bluff. But despite our fears (which genuinely included hypothermia), we donned our wetsuits and booties, signed our waivers and headed out to the beach to begin our lesson. You’d think it would have been freezing, in the middle of November, to spend two hours in English waters, but the combination of the wetsuit and being constantly active meant that we didn’t feel the cold at all – so there was no hypothermia (phew). We enjoyed a hilarious lesson, starting with demonstrations on the beach, followed by bodyboarding in the smallest of waves, and eventually graduating to real surfing in the real (albeit very wild and unpredictable) surf! We did both manage to stand, and on our very last wave of the day we caught the same wave, standing and riding it side-by-side, almost managing a high five to finish the lesson in style! And once we’d towelled off and changed back into our clothes, we padded barefoot back into the hotel, stopping in the bustling Living Space for a cup of steaming hot tea. Our cheeks turned red, our skin tingled, and we buzzed with the kind of energy that you sadly can’t find in a bottle. But you can get pretty close at Watergate Bay Hotel. We popped in here for a coffee when I was staying up the road, it’s so blissful! We have to say the view from the Watergate Bay Hotel hot tub is second to none! It’s on the top of our list of places to relax.